Day one of the Indian Beach Fashion Week 2017 started on a surprising note with models walking the ramp in ethnic wear instead of beach wear in Goa on March 6, 2017. Take a peek into all the collections showcases at IBFW 2017 Day 1! Breaking away from the typical catwalk on the runway, models twirled and swayed away as they walked the ramp for Anupamaa Dayal. Grooving to hip-swaying numbers like, Girls just have fun, Jai Ho and Rang de Basanti, over 20 models showcased her collection – The Endorphins. Her IBFW 2017 Collection consisted of resort wear warm colors including fuschia, red, camel and a few monochromes. Highlight of the entire collection was oversized sleeves on the tunics, dresses and tops paired with bright rubber sandals by Crocs. The wide variety of summer dresses, chemises, slip dresses and boudoir dresses held together with draw strings, ribbons and fringes added a bohemian touch to the entire collection. 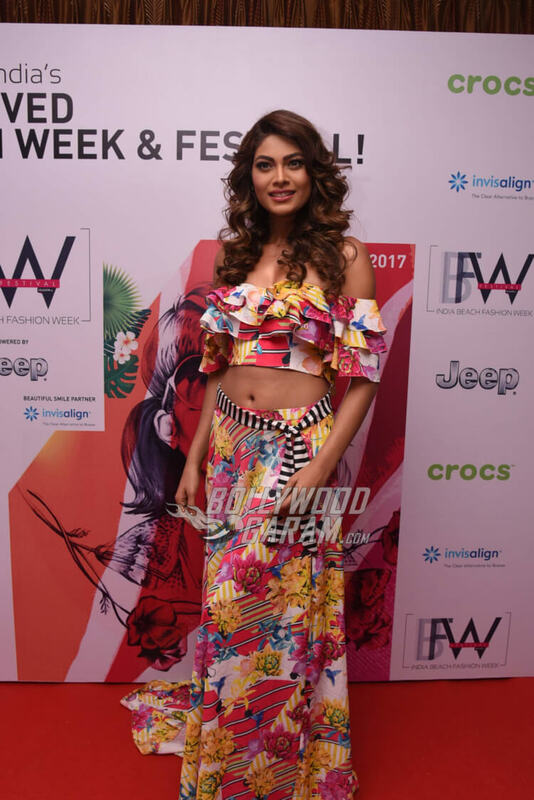 Former Bigg Boss Season 10 contestant, Lopamudra Raut walked the ramp for designer Ken Ferns. As Lopamudra Raut walked the ramp, male models were seen dancing around her in signature clogs and slip-on from Crocs. Designer Ken Fern’s collection ‘SODA’ was full of bright colors and floral prints. While talking about the collection, Ken said that ‘SODA’ is one element that binds everything together to give the perfect fizz. The show was an instant hit with the audience as the peppy music and models who interacted with them was clearly entertaining. Bollywood actor, Amit Sadh walked the ramp for Ambrose D’Souza and looked dapper in an all white printed suit for the Wanderlust Collection. While interacting with the media at the event, he went on to talk about how comfortable he felt in Ambrose D’Souza’s creation and how the fabric’s stoutness adds personality to the suit. Designer Ambrose D’Souza presented a men’s wear collection consisting of coats, jackets, shorts and suits in neutral, limes, blues and whites. 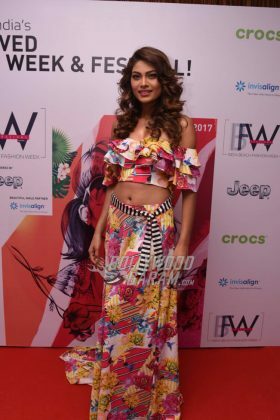 Designers Asif Merchant and Sanjay Hingu too, showcased their collections on day one of IBFW 2017. Collections by Asif Merchant and Sanjay Hingu, were pleasant and played with colors of blue and white. Sanjay’s collection consisted of comfortable resort-wear while Asif Merchant’s collection ‘ZAIB E TAN’ took inspirations from Persian architectural designs. 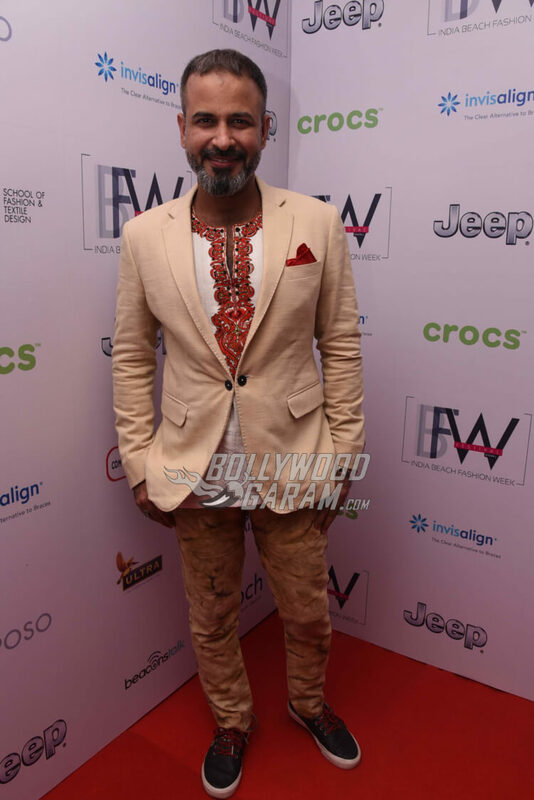 Other celebrities spotted attending IBFW 2017 on Day 1 include Rimi Sen and Preeti Jhangiani with Parvin Dabas. Stay tuned for all the updates from Beach Fashion Week 2017 exclusively on Bollywood Garam! 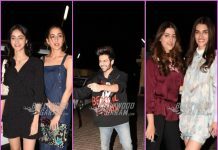 Next articleIBFW 2017 Photos - Richa Chadda, Kriti Sanon Turn Showstoppers on Day 2!